Today at Project Run and Play we have Jill from Homemade by Jill joining us as our Guest Judge. 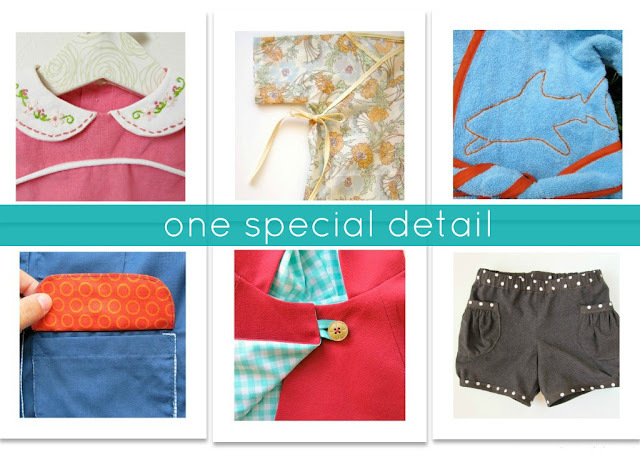 She is a master sew-er, a details person (we even wrote that before we saw her post!) and is a specialist of all things handmade! We are so thrilled to have her here this week for our Signature Looks week. I am so flattered to be here today on Project Run & Play! This season has been seriously fierce ... I am beyond impressed with all the competitors. Keep it up, ladies! Seeing your designs every week inspires me to keep making clothes for my kids. I'm actually a little nervous to be guest judging on the Signature Style week, because I feel like I am a little schizophrenic in that area. I love a clean, modern look, but I also dig a retro feel. Sometimes I'm into bold, bright colors (neon, anyone? ), and other times only neutrals look good. So while I have trouble identifying with a single style, I do love to incorporate one special detail. Maybe that's my signature move? Whether it be a bit of embroidery, unique trim, or an interesting button, one special detail is all it takes to bump a look up to the next level. 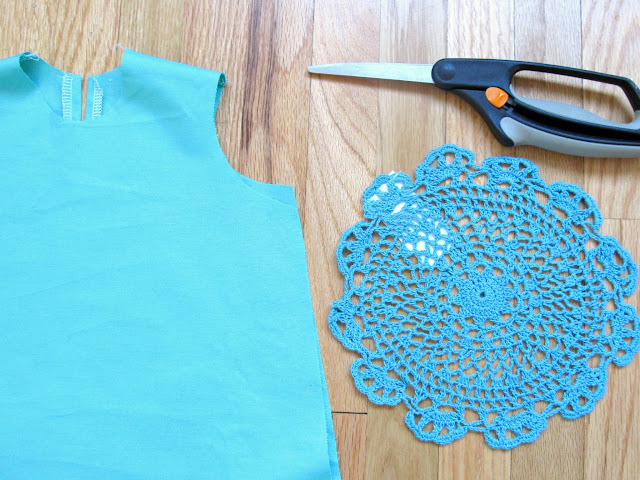 Today I'm going to share how to share a really easy way to add a pretty doily collar to a shirt or dress. It is so simple to do, but leaves a big impact. 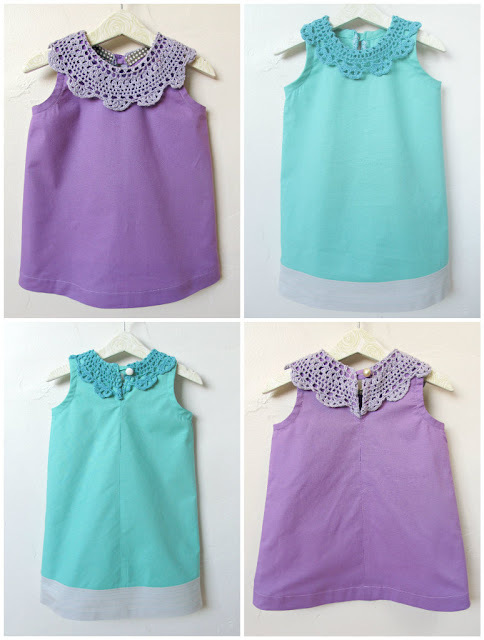 For this tutorial, I am using the free Toddler Swing Tank pattern from the blog, True Bias, but any round neck top should work. You'll also need hem facing for the neck hole, so have either pre-made or homemade bias single fold bias tape ready. Cut your pattern pieces and assemble to the point of sewing the shoulder seams. Then grab your doily for the fun part. I used inexpensive doilies from Michael's ($1.50! ), but this would be so beautiful with vintage or handmade doilies. The prettier, the better! Carefully cut the center out of your doily. Try not to tug on it too much, because you don't want the remaining part to start unraveling. The more you cut, the narrower your collar will be. Pin the doily in place on top of the neck opening, with the cut edges aligned. This will be the final position, so make sure you have the scallops lined up as you like it. 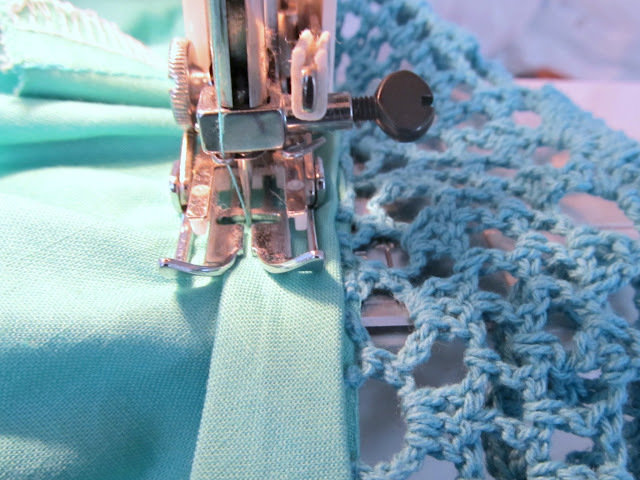 Top stitch over the doily. Depending on how your shirt closes, finish off any remaining cut edges of the doily (I surged the doily to each side of the opening to my button-loop closure). 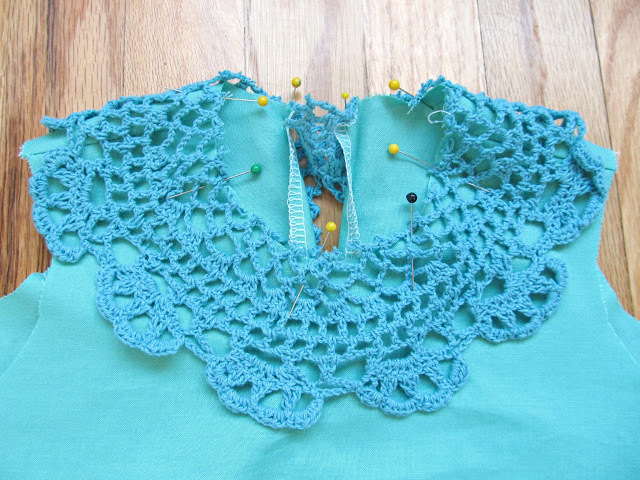 Open one side of the bias tape and pin it to your neckline, with right sides of the doily and bias tapes facing. Sew along the fold line. 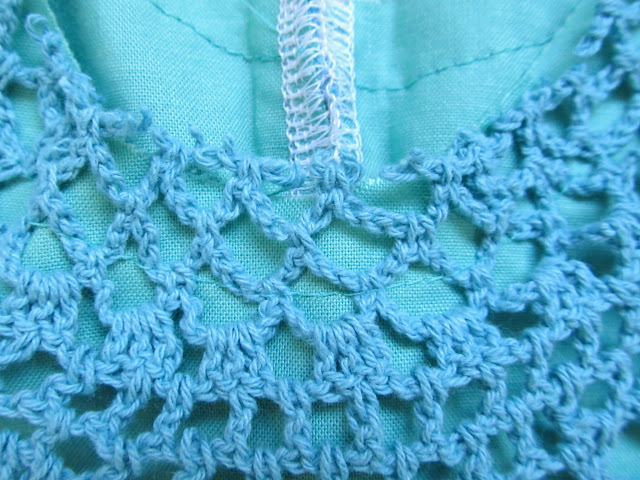 Clip along the neckline to reduce bulk. 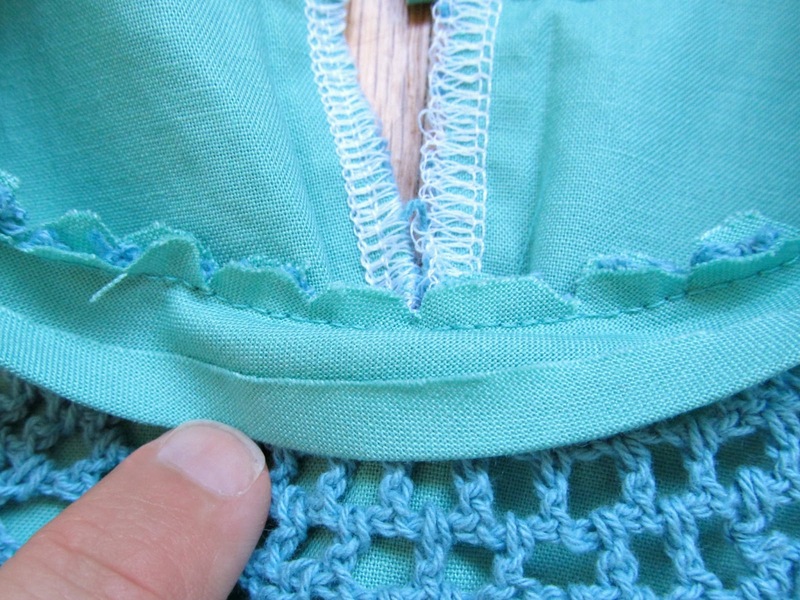 Fold the bias tape over to the inside of the shirt and stitch along the unsewn edge. Move the doily out of the way, only stitching through the bias tape and main fabric pieces. 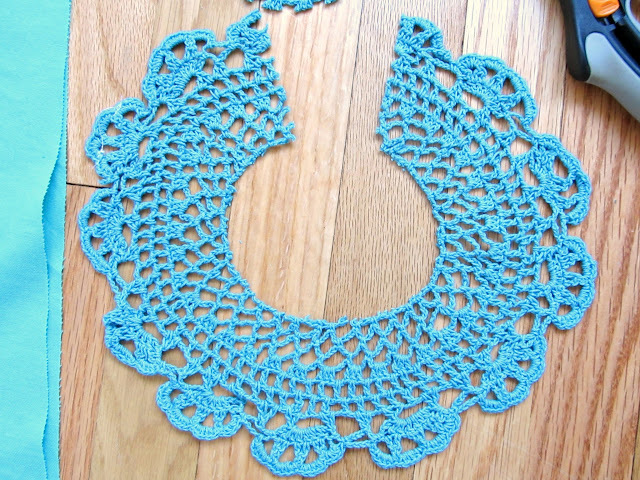 ... and that's it for the doily collar. Finish your garment according to the pattern instructions. Now wasn't that easy? Thanks for having me! I can't wait to see all the signature looks this weekend. Love this idea and both the top and dress look great! Thanks so much for the true bias shout out. 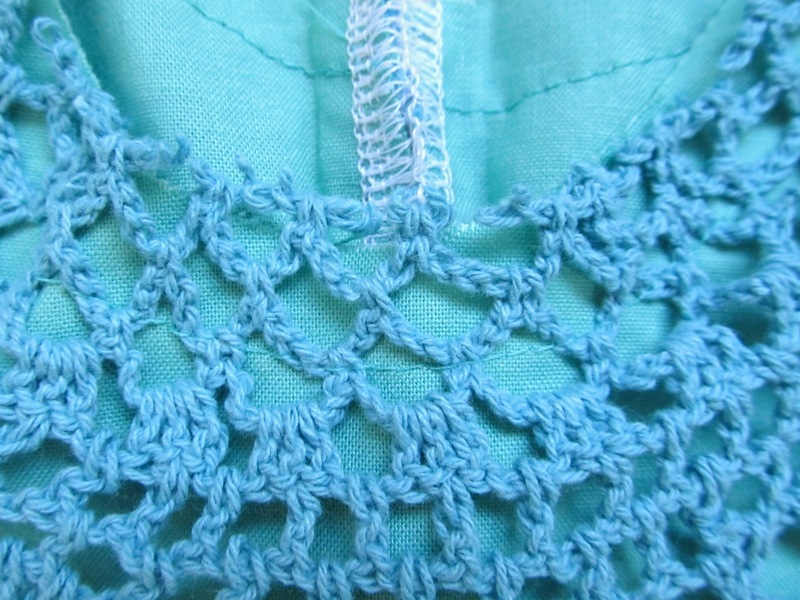 Your doilie necklines are adorable. what a brilliant idea. I am going to try it for sure. So beautiful. It is the little details in a garment that make them so special. I will definitely try this. What a lovely way to finish the hem with bias. Beautiful. So adorable, Jill! Love the doily! Are you a genius? You should check your IQ cause I'm thinking you MUST be with how awesome these collars are. I would have never ventured into doilies - i thought they would come apart- and now i'm convinced i can do this. thanks! So beautiful, Jill! and doilies from Michaels that you don't have to dye? Smart! I'll keep an eye out for them the next time I'm there. Thank you for the tutorial! This beautiful! You turned a simple dress style into something amazing! Now I know what to do with the bright doilies I got at Michael's! Mine will probably be on doll dresses for my AG dolls or granddaughters' dolls.